We were at the Pegu Club one fall evening after we had finished our first season of sailing – but before we had bought our boat – when Jeff said, “Some day if we ever have a boat, we should name it the “Pegu Club.” It was unique, it was a place that we liked – it was a great idea. And so we did. After we bought her, there was never any doubt that she was “Pegu Club.” It has the added benefit of being slightly ironic, given her small size. 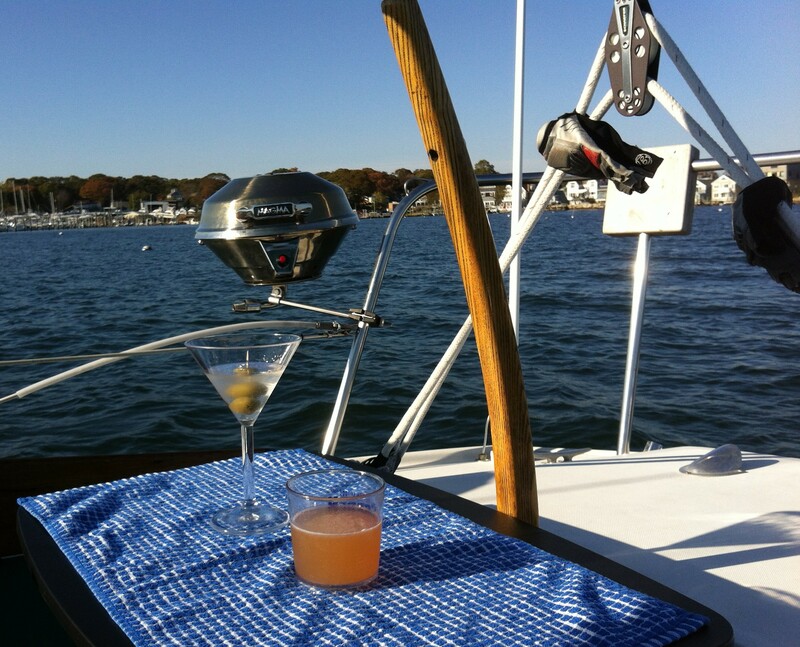 And yes, the Pegu Club is my drink of choice when we are relaxing on the boat after a sail.